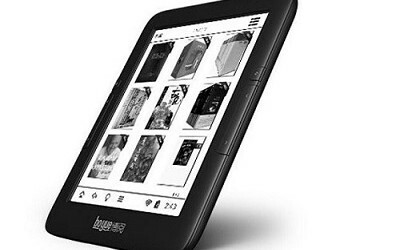 The new Boyue T61 adds to the number of eReaders we are seeing using an open Android operating system. Instead of locking you down to a specific ecosystem and custom UI, we are now seeing a pure vanilla Android experience. Onyx and Icarus are two of the leading proponents of using an open version of Android and have released numerous models. 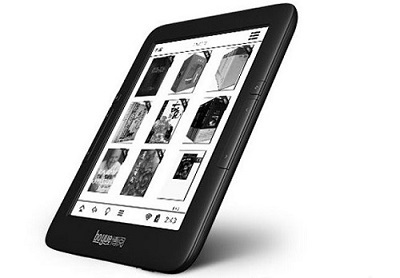 The Boyue T61 features a six inch capacitive touchscreen display with a 1024×758 resolution. It has a sunken screen, instead of one flush with the bezel. There is also a pretty decent built-in front light. It is powered by a A9 1Ghz Dual Core processor with 512MB of RAM. There is 4GB of internal storage which can be increased up to 32GB via the MicroSD card. It comes with Android 4.2.2 Jellybean installed and users can load in their own apps. There is no built in app store, so you will need some sort of technical knowledge in order to side load any additional apps. The T61 is basically a rebadged Icarus Illumina E653 and they both use the same hardware shell and internal components which isn’t a bad thing. Where the Icarus has an advantage over the Boyue is in the software stakes. It has a large number of reading apps right out of the box and will soon be adopting a eInk based app store. This is eReader is primarily available in China, but international users can buy them from eBay or 3rd party websites such as Banggood.com, dhgate.com and aliexpress.com for around $130 or €115. September 6, 2012, No Comments on eReaders for Children? Do Tablets Make Good eReaders? August 22, 2012, No Comments on Do Tablets Make Good eReaders? and periodicals on to it. to know which one to choose.